Today is July 1 in China so we celebrate the Zhongguo Gongchandang Qing today. Do you know this day? It is the day the Chinese communist party was made, so everybody celebrate that. This week I go to Shanghai for my company to sell the shoe at the ShanghaiMart place. We meet many foreigners that buy the shoe. One was a rich man from Texas in the U.S.A. who named is Mike. He was very fat so he must be rich. In China the fat men are very rich. He was a nice man just like all U.S.A. peoples. This is Nanjing Lu. A street to buy things..
Shanghai people are very,very rich and live in the space ship buildings. This is the famous place. 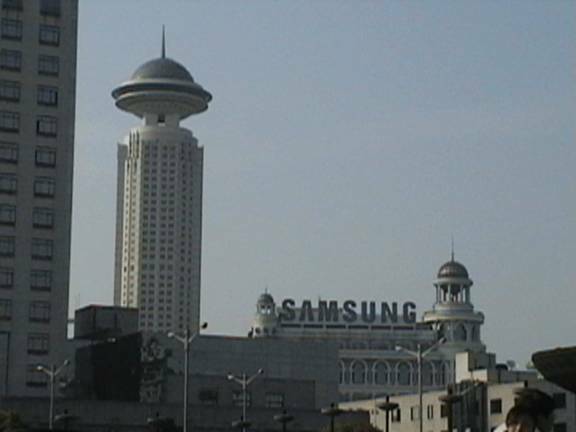 It is call the Bumd and has the Pearl Balls tower and other building. One is the most tallest one called Jinmao. Everyone want to go up that. Many people sell the rolecks watch in this place for only 50 RMB! One time I buy one and try to mail one to you but China Post say it is forbidden to do that. I will find a way! 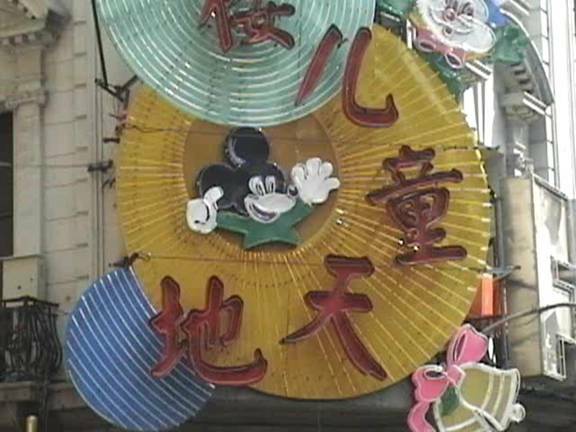 Look, Micker Mouse is in China ! You must be so happy to see that. At the People’s Square park I see the birds. 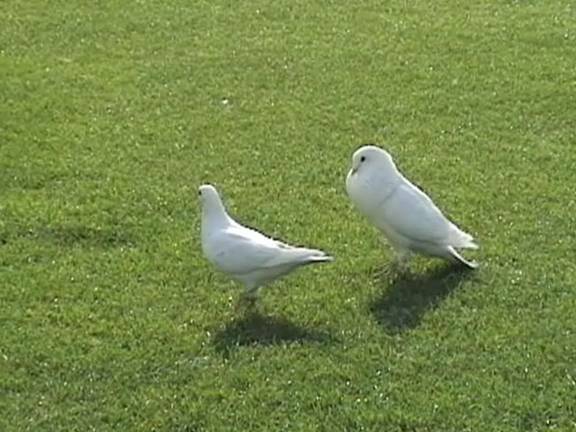 These two began sexing in front of all the people on the grass! They are nauty so the police man chase them away. 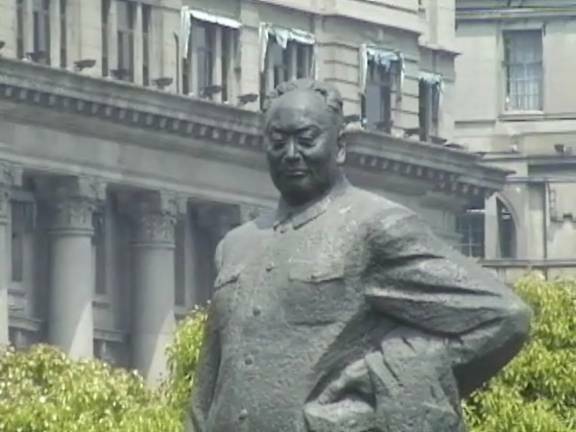 This is not a real man it is a statyu! 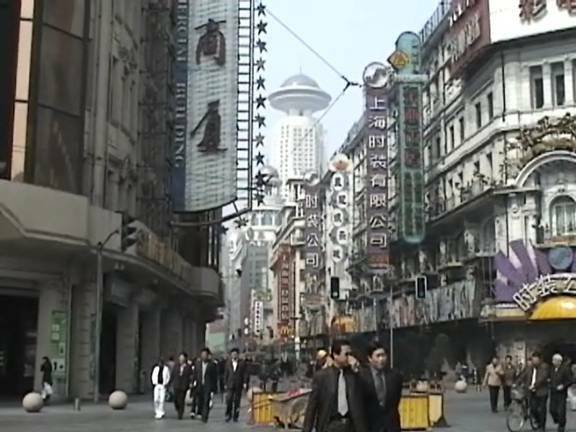 It is the first mayyour of Shanghai in 1949. I go backed home now. 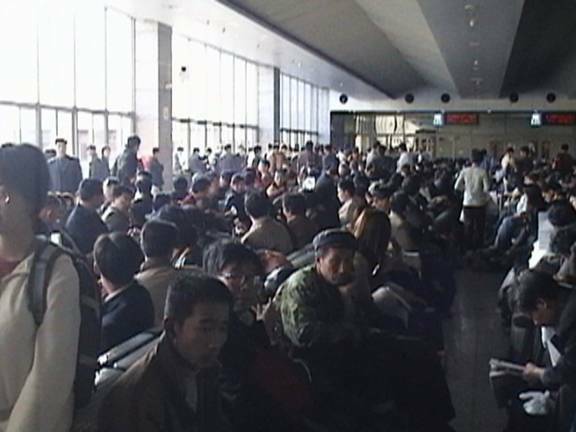 The train station in Shanghai was very busy like this. I was happy to go back to Suzhou . 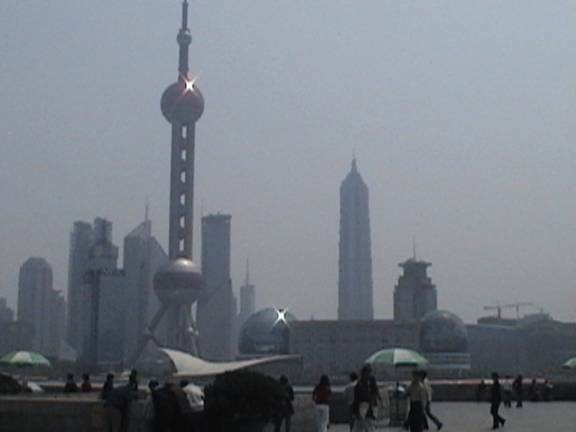 Shanghai is very modern and rich but I like Suzhou better because it is my home place. I will buy a dwarf Pig to eat at home. Good bye for today. I wish your finger is not broken and paining!